1. There’s more than one sense. Of course your piece has to stand out visually. More on that later. For now, though, consider the sense of touch. Before the ink ever hits the page, the materials you choose set the tone. Is your invitation smooth or textured to the touch? How does the texture you chose underscore your brand’s message? If you’re promoting a fragrance launch or a lingerie store opening, should you consider something translucent, ethereal, subtle or silky? If your product is hand crafted or natural, does your material feel handmade, nature-derived or old-world? If yours is a tech-based brand, does the medium feel advanced, futuristic, cool?If you’re in the luxury world, is the paper rich, thick, heavy? Is it paper at all? 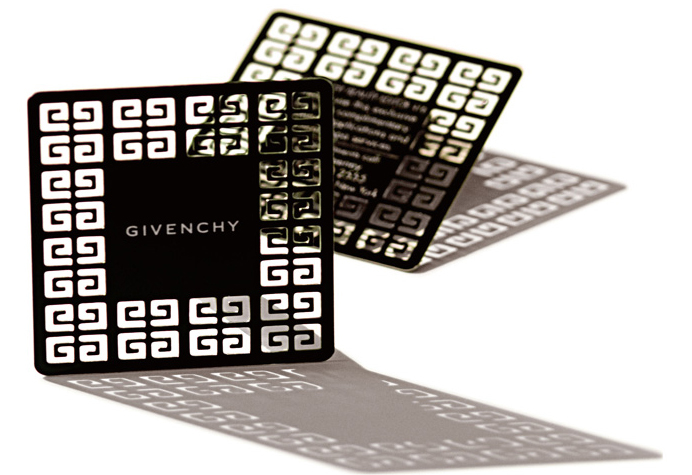 We’ve printed on plastic, metal (see below for Givenchy), wood, leather and other unexpected materials with great results. Back when printed invitations were common, it also seemed as if money grew on trees. Now the printed invitation is a rarity, and money is scarce. So if you want to create a great invitation, you’ll want to get more out of it than perfunctory glance. Make sure the messaging and appearance attach meaningfully to your brand’s marketing and business objectives. 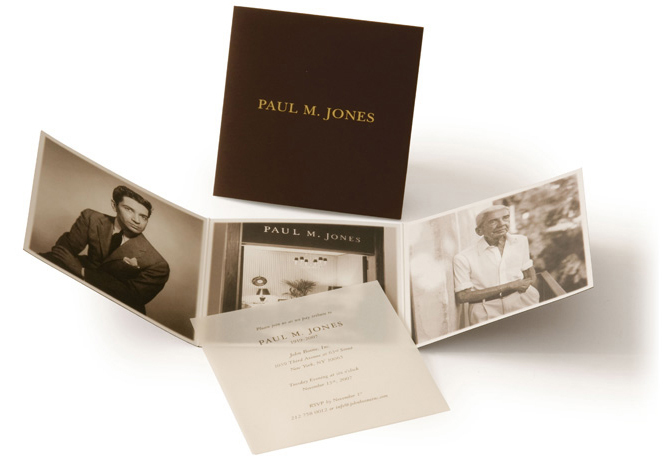 After all, every invitation is an exposure, so approach the creative less as a means to the end of getting people to your launch, opening, gala or trunk show and more as an expression of your brand’s unique characteristics that will be memorable, and make the recipient feel special. And find a printing provider that is willing to find creative solutions to budgetary issues. We’ve saved our clients untold dollars over the years simply through our knowledge of the printing process and our myriad assets, partners and connections. 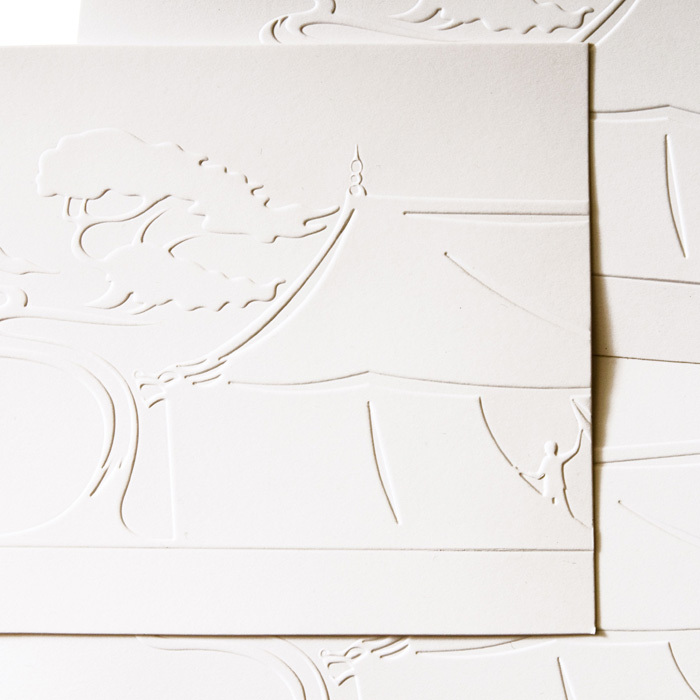 If you’re taking the trouble to send a printed invitation, by all means send it on time. Not too early, not too late. Three weeks ahead of the event is optimal under most circumstances. Six weeks for a save-the-date. The problem some of our clients have is that in these days of limited budgets, many corporate and nonprofit events have multiple sponsors or hosts and thus a very long approval process. Key information on an auction prize, high-level donor or special guest may not be nailed down until around when you should be dropping the addressed pieces in the mail. Give yourself an extension. 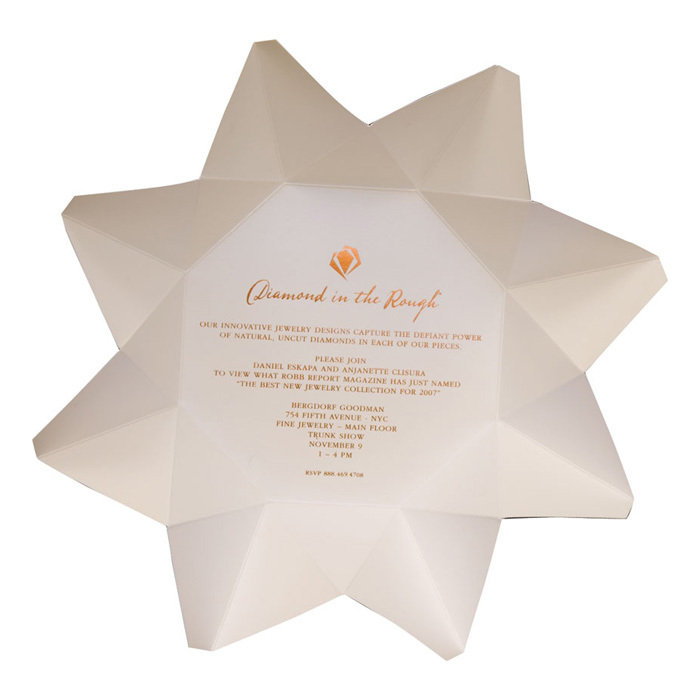 Design a piece where you can create decorative elements and envelopes ahead (you’ll know the color theme, the product focus, the return address from the start) and then slip in the actual event information right before mailing. Before you commit, take one last look at your concept. Forget that you designed it and ask yourself – if I got this in the mail, would this event be the one thing I’d do anything to cram into my busy, overbooked schedule? If so, proceed! If not, why not? What is missing from the visuals, the messaging, the nuance, the materials? What could you do to give it the wow factor? If you get stuck anywhere along the way, please contact us.